Paris is the perfect city to party with unique nightclubs tucked away on river barges, nestled in old factories and kept as classy secrets on the Champs-Élysées. Boasting a range of Britpop, new wave and indie rock-themed nights, here are our picks of the 10 best nightclubs in Paris. 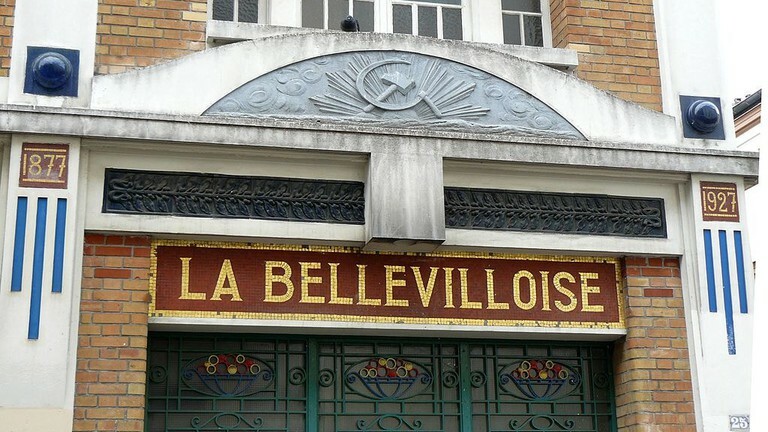 La Bellevilloise is the hidden gem of the 20th arrondissement. By day, it’s a fabulous art and cultural centre for exhibitions, film screenings, concerts and events, with a bright, ambiently lit cafe. But by night, it’s transformed into a trendy indie clubbing experience. Believe it or not, but the venue is, in fact, the site of Paris’ first workers’ co-operative and has been an important cultural landmark since 1877. Nowadays, it has two levels, a terrace and sofas to snuggle into with friends. Set up near Ménilmontant metro station, it’s nestled in a corner of Paris that’s quickly rising to become more hip and modern. 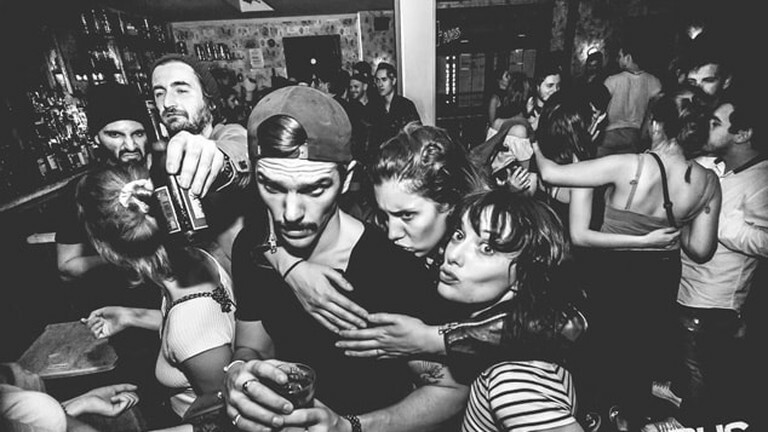 Supersonic is the edgiest new spot to enjoy indie music in Paris. It’s the quirkiest place on this list, located in an old factory where natural moonlight melts into the warm colours of the club. With three up-and-coming bands on stage every night, rock-themed nights playing music from the sixties and Manchester, Britpop, new wave and indie rock on weekends, you’re guaranteed to have a great time. It’s also good value for your money with delicious cocktails and beers on offer for just 3.50 euros during happy hour as well as tasty hot dogs. Tucked away in the basement of the shopping centre, Le Palais du Commerce, in the 10th arrondissement of Paris, is a true nightlife gem. La Java is a historic place dedicated to alternative, underground and emerging new music talent. Its eclectic programming offers the opportunity to discover unique musical talent before they go live to the world – it’s the nightclub where Édith Piaf and Django Reinhardt played before they became famous, as it happens. La Java also hosts LGBT evenings regularly that are incredibly popular. Taken-Club is all about elegance, discretion and sensuality, with what they like to describe as a glamorous touch. 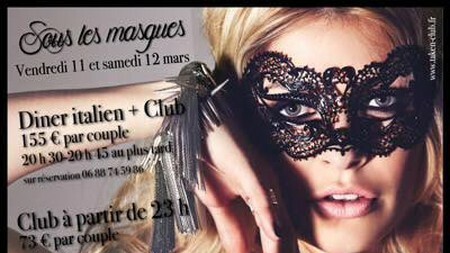 They welcome couples from Wednesday to Saturday from 10:30 pm and the rendez-vous go on until 6 am. Nestled in the heart of Paris, on the Île Saint-Louis, it’s one of the chicest locations in the city. Let yourself be enchanted by its luxurious lounges, its festive atmosphere and its refined and seductive charm. They say the Parisian club is ‘dedicated to achieving your most secret desires’ and they play on this sense of mystery with their masquerade balls. Wanderlust, which is actually part of Les Docks, is a nightclub that rises to all expectations of a traditional great night on the town. The modern complex is dedicated to fashion and design by day, which means that it attracts a young hipster crowd, before being commandeered by strobe lights and loud music by night. The club has a 1,600 square-metre terrace where you can dance under the stars when the weather is good in summer and a 386 square-metre space with a club area and restaurant. Wanderlust has been a favourite on the nightlife scene since it opened in 2012. What better place to club in the City of Light than on a gorgeous Parisian barge on the River Seine? Batofar is truly a unique experience as you’ll find yourself dancing beneath the stars upon a converted former barge docked in this quirky milieu. A host of international DJs bring the large terrace to life, with an unbeatable view of the Seine. This venue’s ultimate gem is the Batofar ‘beach’, complete with lounge chairs and umbrellas to soak up the Parisian summer. At its peak, it welcomes as many as 300 people to its 250 events per year. But don’t worry if you arrive too late to get onto the boat, as the festivities tend to spill onto the quayside and last until 6 am. The Rex Club has been a huge name on the clubbing landscape for years, with enough bass-heavy techno, house music and electronica beats to keep you dancing until the wee hours. As it happens, the Rex Club is attached to one of the most famous cinemas in Paris, the Grand Rex, which helps draw the crowds in while boasting an impressively packed program of performances. The venue is particularly popular with international travellers looking to meet new people and party hard, so be prepared for a whirlwind evening. Located just a few minutes away from the prestigious Avenue des Champs-Élysėes, a street whose elegance is world-famous, it’s no surprise that L’Heritage is slightly on the pricey side, at least when compared to the other venues on this list. Nonetheless, a night at this venue promises a unique clubbing experience at once sophisticated and classy. The club founders were inspired by the historic past that can be traced in Paris and so dancing here is like going back in time. The luxurious decor includes plush purple fabrics, antique furniture and astonishing chandeliers. The clubhouse is so popular that they strongly recommend booking a table in advance, although walk-ins are welcome if there is space. Parisians just love to party under bridges and ShowCase is another local favourite. Specialising in electro beats, it’s tucked away beneath the Pont Alexandre III, the city’s most beautiful bridge, and just seconds away from the Grand Palais. The venue is hugely popular, attracting more than 3,000 clubbers each weekend to dance the night away. A former boathouse, this club boasts a range of original architectural quirks like exposed stone walls and an outdoor terrace on the banks of the Seine. The ultimate selling point is its views overlooking the Eiffel Tower. Black suits Le Bus Palladium. Situated in the heart of Pigalle, it stands apart from other clubs in the city as a resolutely rock venue: DJ sets, live music and improvisations of all kinds, with occasional forays into hip hop and electro on the ground floor. The first floor restaurant, devoted to American gastronomy, serves Argentinian meats and cheese nachos. The two other, quieter, floors offer a chance to relax between partying on the ground floor. Club, restaurant, lounge bar: what could be a better combination for an excellent night out? Known for their Ladies Nights on Tuesdays: entry and drinks free for girls.